Surfing over our flat-water locations while watching the beautiful Aruban coastline at sunset will melt all your stress away. Whether you are a beginner or an expert, you'll find a suitable location for windsurfing and kitesurfing in Aruba. The constant 15-knot trade winds, along with the variety of flat-water locations and challenging wave conditions, have made Aruba one of the most popular spots on earth for windsurfers and kitesurfers. Aruba offers novice windsurfers and kitesurfers the opportunity to take advantage of the gentler winds, abundance of rental equipment and instructors along the island's southern shore. 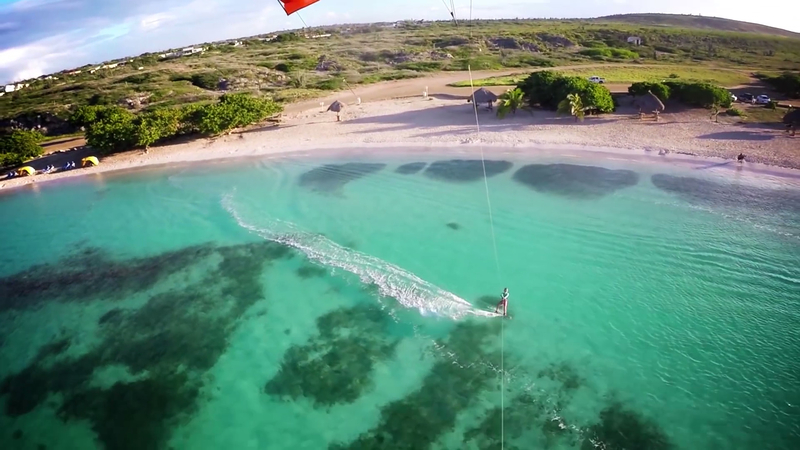 Every year in late June or early July, the island hosts the Aruba Hi-Winds, featuring windsurfing and kitesurfing. This five-day competition at the renowned Fisherman's Huts attracts the most competitive windsurfers for slalom racing and freestyle competition. There are Kids and Juniors competitions, too. Kitesurfers compete at Boca Grandi, a bay on the rugged North coast and demonstrate their skills at The Huts during the weekend, even after dark. Aruba Hi-Winds also has an interesting evening programme on-site with Djs and live bands.